The Square belongs to the South Bedfordshire Methodist Circuit, which is a group of 24 churches linked together through a leadership team for mutual support and encouragement. The Square is part of a section with Luton Rd and Harlington. If you would like to know more about any of these churches please contact the minister. 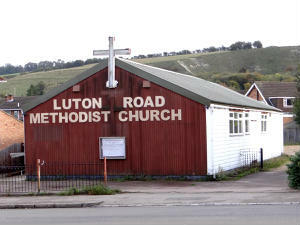 Luton Road Methodist Church LU5 4LR (south side of Luton Road, near Dale Road, Dunstable) has a small, welcoming congregation drawn from the local area around the Church. There is a Ladies Thursday Evening Club which is thriving. New members are welcome. There is also a music group called the Luton Road Wind Ensemble, which meets to rehearse and has the occasional charity concert. Church members enjoy fun and friendship and take care of one another in times of difficulty. 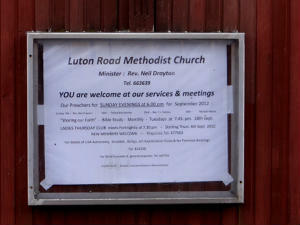 The church premises are hired out to local community groups. Facilities include a flexible hall, a well-equipped kitchen and accessible toilet.